Comprising the north-east of Quebec and the west of Labrador, Nitassinan (“Our Land”) is home to the Innu. With a history that spans back countless generations and through centuries-old narratives, the Innu have created a culture as hunter-gatherers in some of the most barren regions of Canada. Back in 2003, the population of Innu peoples hovered around 18,000, some of which still live in their native lands, whilst others have spread further afield in search of contemporary lifestyles and technologically-driven communities. But for most Innu, life is very much connected to their ancestors who believed in spirituality and a deep-rooted link with nature. Even in a world where gadgets are the norm and people hanker after technological advancement, the Innu are set in their traditional ways. Some still live in tents made from hunted animal skins and the language, Innu-aimun (or Montagnais), remains an important part of their daily life. Though the modern Innu culture is threaded with the present day (it’s difficult for communities not to be affected by the world around them, no matter how old and deep-rooted those communities are), they try and preserve their traditions in the best way they can. Hunting and trapping caribou, moose, deer, and smaller game animals are still common activities, whilst communities which live nearer the coast still practise fishing and other agricultural pursuits. Despite the sense of easy, natural living, the Innu have had a rocky history with a timeline of invasions and raids. During the seventeenth century, their territories were regularly attacked by neighbouring communities, including the Atikamekw, Maliseet, and the Algonquin, which forced the Innu to take a more aggressive stance when faced with competition. These tendencies have fallen to the wayside in recent years, since the Innu no longer have to protect their land from other aboriginal groups – instead, they fight to keep their homes protected by the governments. But even so, Innu peoples remain tied to their forefathers who fought these longwinded battles in order to keep tradition pushing forward. To do this they must move with the seasons, adopting a nomadic lifestyle that allows them to enjoy the fruits of the land at the right time of year. This is less pronounced today, but still they travel to the best hunting grounds every year to make the most of what Mother Nature has to offer. Now they have established their own territory (thanks to years of conflict) they no longer have to carry out the lengthy migrations that their forefathers did and, though climate change is still an issue, it is not as pressing as other contemporary issues that the Innu face today. Due to this nomadic history, the Innu have adapted well to travel and making long-distance treks through harsh environments. Though much scarcer now trucks and SUVs have been introduced into Innu culture, snow shoes and toboggans are still popular ways for some community members to travel, and the traditional birch bark canoe can often be seen transporting Innu peoples around in the warmer months. To keep warm in the icy Canadian conditions, the Innu have become experts at creating clothing from animal skins and use materials from their environment to make tools and utensils, many of which they intricately decorate with painted and woven designs. This wasn’t always a creative nod towards art, but instead a way to make functional items easy on the eye against a bleak backdrop. However, the Innu are now so well-known for their beautiful decorations and painted animal skins that many of their cultural items can be found on display in museum collections all over the world. It is not just visual art that the Innu have celebrated for generations, though. Literature, storytelling, and singing are all important parts of the culture and are vessels which can carry traditions down through the years. Spirituality plays a major part in these mediums, with community shamans called upon to provide good fortune to hunters and individual religious power tapped into for vibrant ceremonies. Perhaps the most recognisable cultural art-form of the Innu peoples is the tea doll, a small children’s toy that has a number of uses. 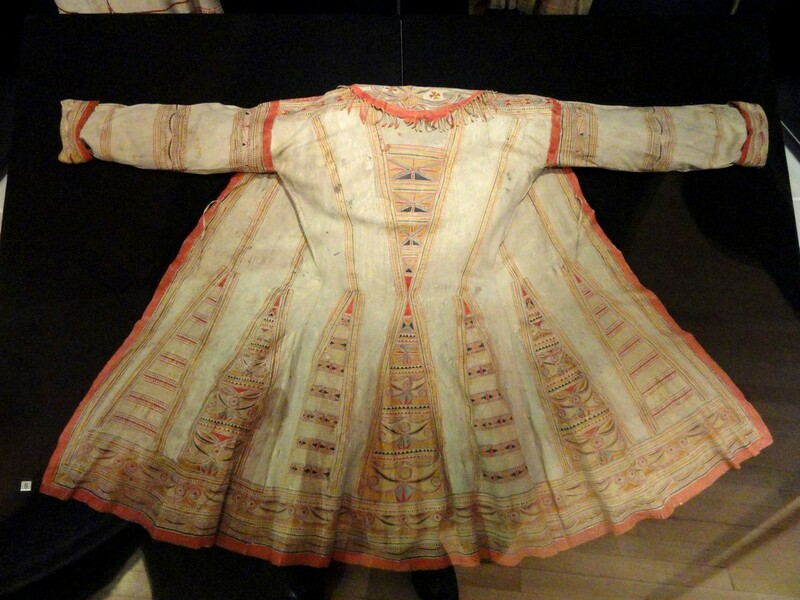 During lengthy migrations when no one was left behind, mothers would make young children exquisite dolls from caribou skins and other scraps of animal materials which they filled with tea and gave to the younger girls to carry as they trekked. Because every able-bodied person was required to lend a helping hand when it came to the carrying of goods, the tea dolls meant even the youngest members of the tribe could contribute. 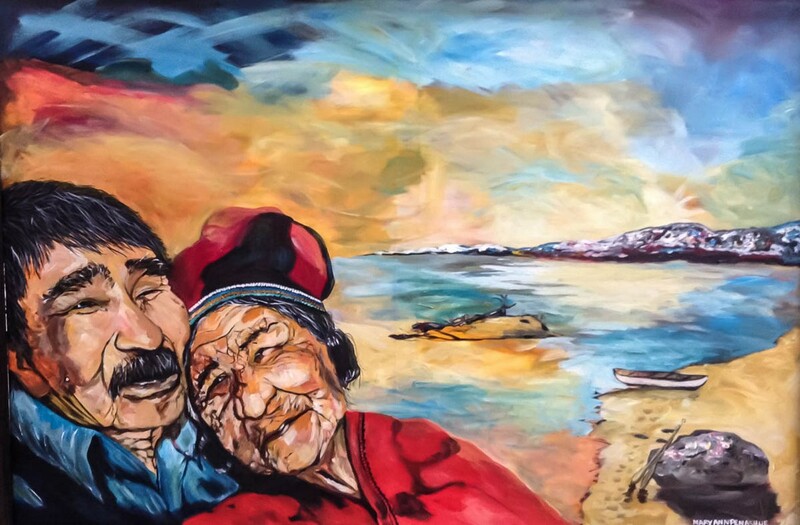 This perfectly highlights the purpose of art in the Innu communities. Even though it is incredibly beautiful and eye-catching, it also works as a functional utensil or tool, whether it be a cloak to keep bodies warm in the winter or a bowl to carry important goods around with. 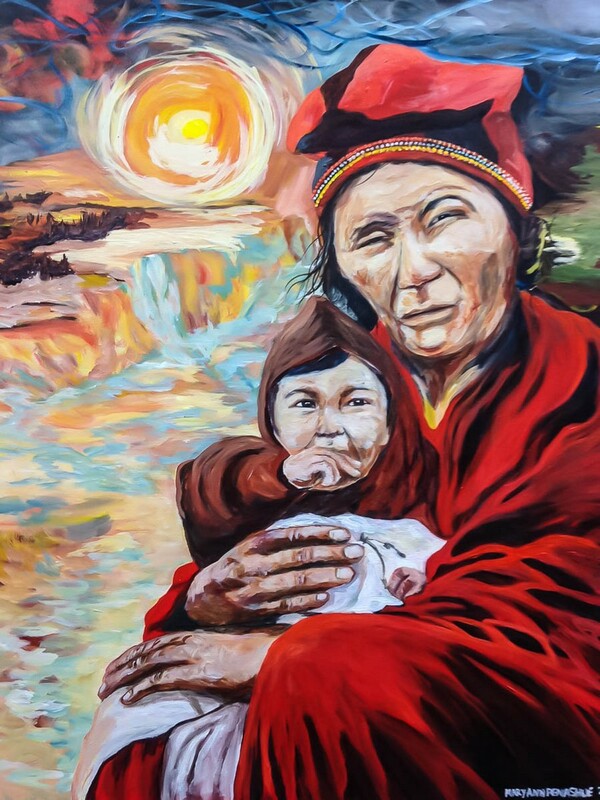 For centuries, the Innu in Canada have preserved the traditions and culture of their forefathers, but modern life is becoming more and more evident in their schedules and beliefs, which also permeates their artistic creations. So, whilst functional art pieces are still ideal, many of the Innu produce pieces that are purely for pleasure, reflecting the issues, desires, and new-age traditions of the modern-day Innu. And this is exactly how the culture will continue to be carried down from generation to generation.